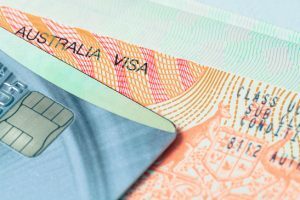 Australia has already begun accepting applications for a new entrepreneur visa. To qualify, the immigrant must secure 200,000 Australian dollars in funding from an agency specified by the Australian government (see below for a full list) in order to start their business in the country. Since it changed the rules on its Significant Investor Visa in July 2015, just 98 applications have been received and 10 visas issued against a target intake of 2,100. The repurposed program requires a total investment of five million Australian dollars over four years, $2 million of which must be invested in small businesses. Goldman Sachs suggested the program could generate 10 billion Australian dollars, but the result has been a dramatic failure. The 98 applications and 10 issued visas contrasts with 1,544 applications and 590 visas during the final year of the previous program. Andrew Martin, head of asset management at Moelis & Co in Sydney, says the investment risk is too high to attract what are often first-time investors to the Australian program. Under the previous program, investors had the option of putting all of the cash into government bonds or real estate, both viewed as safer channels.